Fundraising events do not always run as smoothly as the organisers hope. Bad weather and a poor turnout are just some of the reasons why good insurance cover is a necessity for a fundraising event. There are a number of risks that should be considered when organising a charity fundraising event. Event organisers are responsible for the safety of others but there are other risks to consider. These can include financial losses due to the cancellation of the event due to causes such as bad weather. Damage to hire equipment for the event is another reason for adequate insurance cover. Fundraising event organisers should always take expert insurance advice to ensure that all possible risks are covered. Public liability insurance is a necessity during fundraising events. This type of insurance will cover against claims by third parties over injury and property damage. Injuries to the public or to event staff can occur especially if there are hazardous activities during the event such as bungee jumping or parachute jumps. Extra insurance cover may be required if hazardous activities are held throughout an event. Organisers should always weigh up the risks of these particular activities during the event planning stage. One important issue to consider is the actual responsibility for the insurance during the fundraising event. It may be the case that insurance cover is included in the actual hire contract of buildings, grounds and equipment. This ‘included insurance’ should never be taken for granted and should always be discussed before the event occurs. Always check the insurance of any exhibitors, entertainers and sponsors at the fundraising event. If they carry an Indemnity to Principals Clause in their insurance policy this will mean that the fundraisers are also covered. Fundraising event employees will usually be required to be included in the insurance policies. Employees can include contractors, volunteers and temporary workers. Insurers should be made aware of who the employees are, their job titles and if they are actually receiving payment. Employees that are not the event organiser’s responsibility such as sub-contractors should have their own insurance such as Employers Liability insurance. Sub-contractor’s insurance should not be taken for granted and should be verified by the event organisers. Insurance policies come with a wide range of limitation clauses, most of them designed to stop the insurer paying out. It is vital that the event organisers know exactly what is covered through their insurance provider. Reading the small print and the limitation clauses will uncover all of the insurance limitations and restrictions. Keep and eye out for limitations if the event is cancelled, which can mean there is no actual cover if the event is abandoned. Event organisers should always obtain quotes from various insurance providers to compare their prices and coverage. Money raised at a fundraising event will usually require separate insurance cover. A number of risks will be assessed in order for insurers to provide the best coverage to protect these funds. This will include safety precautions for large amounts of cash including transporting money after the event to banks. Security personnel for the funds will also be assessed especially if they are transporting the funds to a bank. 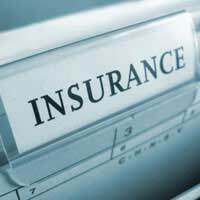 Adequate event insurance cover is an extremely important part of event planning. Professional advice will be required from an event insurance specialist. If all insurance bases are covered then it should help decrease fears over any disruptions on the fundraising day.